Hey, how is everyone doing today? Today I would love to have some input for the website and what everyone is interested in reading on Delightful Doggies 4 U. 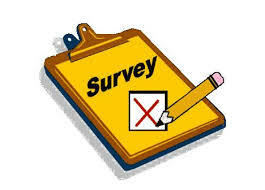 So I am going to take a survey and all emails will be answered so please do not hesitate to send in your opinions. Here at Delightful Doggies 4 U we have decided that we need to pay more attention to the audience we want to cater to the dog lovers of the world. Your input is going to help us to move forward for publishing to the site. Are you satisfied so far with the information that you are finding on the website? What types of information would you like to find more of – breeds, training tips, grooming tips, recommendations on accessories, foods best for which dogs, and really anything that we can research and give you more information about? Is the information enough for you to make an informed decision about choosing a new doggie for you as a single person or for your family? When you need recommendations for services or pet health care would you prefer to see more information on these types of services? Because we reach worldwide services can be recommended in how to choose the best in your area but to recommend the actual local service you should use would be impossible. 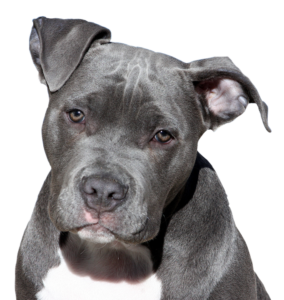 Do you have a particular breed that you need more information on and what we can do to help you find this breed? I would like to start sharing stories from the readers about experiences they have had with their pets this will let others know how to handle certain situations so if you would be willing to share this would be a great way to get even more information about doggies out to all over the world. This website was born out of our love for dogs not to become salespeople for the products we list on the various pages that being said YOU are very important to help keep us alive on the internet. Because of people just like us is what this website is all about – choosing a doggie or more than one doggie can be an exciting time in anyone’s life just making sure you choose the right one is very important as well. I am the proud mom to three of the sweetest pit bulls anyone could ever want to meet, yes I know they have gotten a bad rap from the media outlets but so have many other breeds. This is not the doggies fault but the person who has raised the poor baby to have very bad personality traits that they encouraged as the dog was growing up. These type of people do not deserve to have animals ever they should have a worldwide list to ban them from ever getting another dog again, there are many people out there abusing animals be vigilant and report them, please. You may have noticed lately and in the future, I will be closing all the posts to the website with please have your dog neutered or spayed to stop the overpopulation of unwanted pets and getting your doggie microchipped. We feel these things are very important as a responsible pet owner check around in your area many places offer reduces rates to have a pet spayed or neutered along with shots and micro chipped. Today’s post is a short one I know but these are things that we needed to discuss with you the one who matters the most to us here. 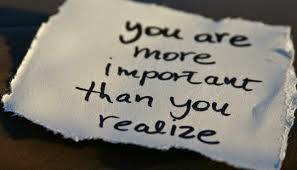 You are important along with what you want and need to know. Information is the key to anything successful in the world and we want to provide you with the information you are looking for and need when it comes to your doggies. Adding your answers to the survey will enable us to continue to provide the most valuable information for you that is required to make your life with your doggie much more pleasant and happy. You can leave questions, comments, or suggestions in the regular comment space provided below if you wish I do respond to those as well. Thank you for checking out the survey and hoping we get tons of responses!